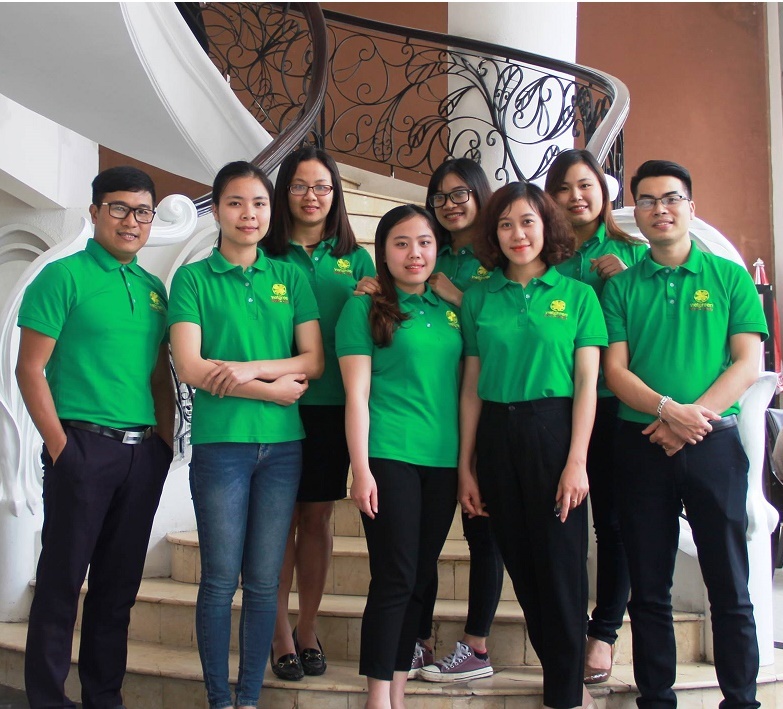 Team building games & activities : Teambuilding activities in Vietnam are loads of fun, but they can also be tools for strengthening your group. They can be good icebreakers for the beginning of a meeting or a way to build stronger ties with members you already know. Some involve a lot of teamwork and can result in tighter friendships among the people with whom you work. There are many gradations of teambuilding activities. We’ve broken them down into three rough categories. Many were hard to choose a specific category for, so use your own judgment and understanding of your group when you do these activities. These games and activities would regularly be used at a first meeting, at the beginning of a gathering, or at the start of a student conference or workshop. With little physical contact, these games help loosen people up, remember names, and get more comfortable with people they’ve just met. Stand in a circle. One person has the “clap” in their hands and turns to face a person next to them. About when they make eye contact or just when they are facing each other, they clap simultaneously. Then, that next person has the clap and turns to pass it on. After it has been passed around once and everyone has the hang of it, begin to time him or her. Encourage people to move around, jump into a different part of the circle, and reverse it. Have everyone sit or stand in a circle. Ask them to take their shoes off and immediately toss them into the middle of the circle. Begin by having one volunteer pick a pair of shoes; describe the owner (without knowing who it is). Ask for things such as age, hobbies, or attitude. When he is done describing the owner, he must guess whom the shoes belong to. Then, the real owner comes forward and continues the activity. This activity can be used to separate people into pairs or a large number of students into different groups. With a small group, write the name of however many animals on two different pieces of paper and have the participants draw one out. With a large group, have students count off to a certain number and assign a certain animal for each number. When you say “go”, participants will close their eyes and are only allowed to make the noise of their animal in order to find their other group members. Animals such as cows, pigs, dogs, chickens, elephants, cats, and horses all make for a fun, and noisy, activity. Make a standing circle. Have one person start by saying an action and their name. The action should start with the same letter as their name, like energetic Eric or jumping Jill. When they say their action and name, they can also act out their action. So, jumping Jill would jump up and down. Have the entire group go around and repeat everyone’s actions and names each time a new person introduces him or herself. Here are two variations of tag that will keep participants upbeat and interested. Hospital Tag Every participant is “it” and also has three lives. When a player is tagged once, he must put this hand on the part of his body where he was tagged. The second time, he puts his other hand on that spot. The third time he is tagged, he is out. Participants will get a kick out of watching people run around with their hands on ankles or backs while trying to tag others. Clothes Pin Tag Bring enough clothespins for every player to have at least three. Again, everyone is it. Give them a certain amount of time to tag as many people with clothespins as they can. When time is called, players with one or no clothespins on them are still in the game and can again play for one more round. There are many ways to mix this game up, but remind players that they’re not allowed to take the clothespins off once they have been tagged. Divide everyone into two groups. Have one group make a circle facing outward. The second group then makes a circle around the first group and faces inward. Everyone should be facing someone from the other circle. Each person can talk to the person across from them for a minute or two before you yell, “SWITCH”, and have one circle move to the left or right a few steps. If participants seem shy, give them a topic to talk about each rotation, such as movies, DECA, college, food, etc. Stand in a circle, with one person in the middle. When the person in the middle says so, participants will be given 30 seconds to one minute to memorize the first, middle, and last name of the person to their left and right. After the minute is over, the person in the middle will point to somebody and say “left” or “right”. If he or she pauses or stumbles saying the full name, he or she is then in the middle. If everyone seems to know each others names right away, the person in the middle can call out, “Move It Buddy!” and everyone must rush to a new space and begin memorizing names again.